Delta-Northwest merger provided the new Delta with the scope and scale to create a durable business capable of investing in its products and service, communities and shareholders. Take two struggling airlines, put them together during an epic economic downturn and what do you get? A global powerhouse – the industry’s leading airline and one of the world’s most admired and relevant brands. Ten years after final approval of the Delta-Northwest merger on Oct. 29, 2008, it’s clear the tie-up joined the two airlines into a force that’s positioned to continue leading the industry long-term. Delta CEO Ed Bastian was Delta’s President in 2008, and helped lead the transition as Northwest’s last CEO. By the time the integration was complete, the merger of the Delta and Northwest flying networks had combined Delta’s strength in the South, Northeast and Europe with Northwest’s presence in the Midwest, Canada and Asia, preserving competition while enhancing customer choice. And Northwest brought a reputation for operational excellence to a Delta known for service, hospitality and culture. Meanwhile, Delta kept its promises that the airline would remain Delta, keep its headquarters in Atlanta and that there would be no involuntary furloughs. Long-term, the merger provided the new Delta with the scope and scale to create a durable business capable of investing in its people, products and service, communities and shareholders. The merger became a model for the industry and showed that consolidation could be good for employees, the industry and the consumer. 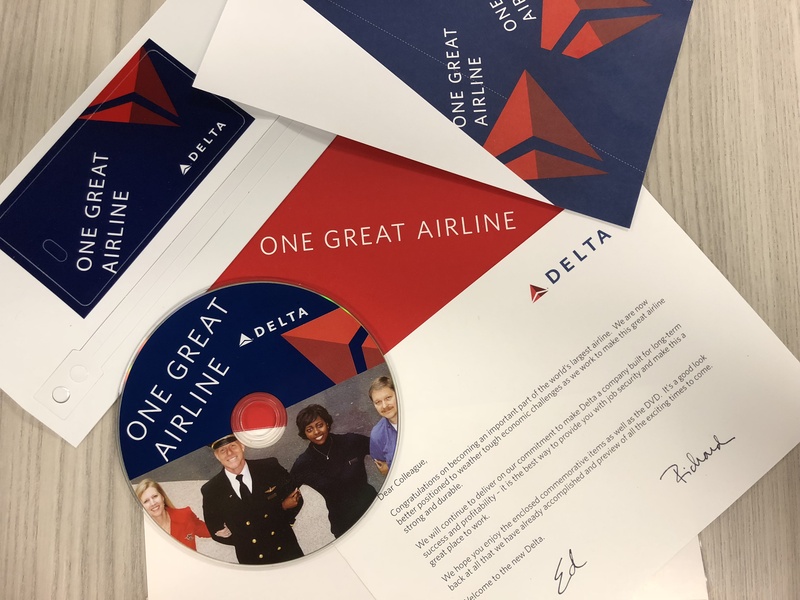 Delta’s investments in the onboard experience – from chef-curated menus to award-winning in-flight entertainment - are setting the bar for the industry. The flagship A350 aircraft and the new A220 are part of an ongoing fleet renewal that is continuing to improve comfort and fuel efficiency. The airline’s operations teams have established a new standard for reliability, consistently breaking records for cancellation-free days and pushing on-time arrival rates ever higher. Gil West, Senior Executive Vice President and Chief Operating Officer, led the Delta and Northwest airport and customer service merger integration. The merger served as a springboard for Delta’s global growth. 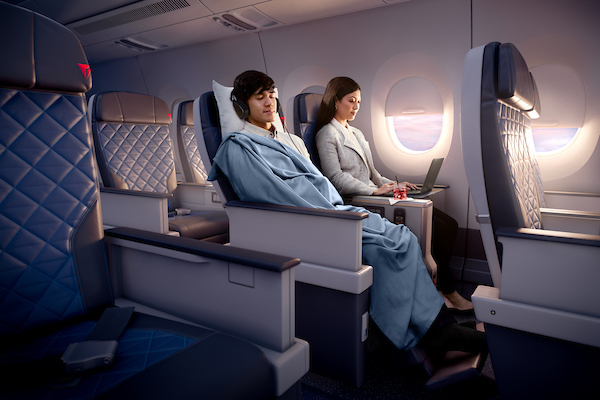 Airline joint venture or equity partnerships mushroomed from one in 2008 – Air France - to more than a half-dozen, with Delta now offering customers easy connections to hundreds of onward destinations in Europe, Asia and Latin America. Meanwhile, compared to American and United, Delta was the only carrier to grow its total long-haul international flights between 2007 and 2017 – up 11 percent. Delta has invested $7 billion in airport infrastructure, with another $12 billion coming during the next five years. The investments will allow Delta to design the airports of the future in New York, Atlanta, Seattle, Salt Lake City and Los Angeles. Profit-sharing has resulted in record payouts to Delta people, with more than $6 billion distributed, a feat no company has matched. Average compensation has increased by 80 percent since the merger. Meanwhile, the airline's people-focused culture has thrived, remaining the foundation of the business. Joanne Smith, Chief Human Resources Officer, said the task required humanity – and trust. The mantra was “One Great Airline,” and that spirit guided the combined company. Seth Kaplan, Editor of Airline Weekly, said leaders of corporate mergers are quick to say they’re going to combine the best of both companies. “That’s easy to say but it’s hard to do. In this case, they really did it,” Kaplan said in an interview. The Delta and Northwest merger was the first of a round of consolidation that saw tie-ups between American and U.S. Airways, United and Continental, Southwest and AirTran, and Alaska and Virgin America. Kaplan says there were too many airlines in 2008, and all were too preoccupied with survival to be able to invest in their people, their products or service. “Now the U.S. airline industry looks more like other industries, with three or four dominant providers. It’s been a good outcome, balancing the interests of shareholders, consumers and employees,” Kaplan said. 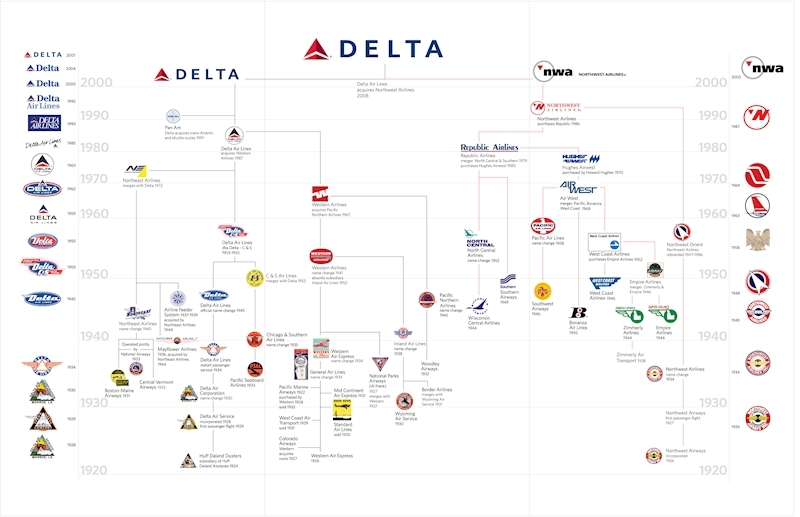 Delta and Northwest pursued an aggressive integration of everything from loyalty programs to employee seniority. Steve Sear, a Northwest executive in 2008 who now serves as Delta’s President – International and Executive Vice President – Global Sales, said like many Northwest employees he was a little nervous at the merger news – but mostly excited. Even before the merger took effect, employees in hubs of both airlines connected in meet-and-greet sessions. 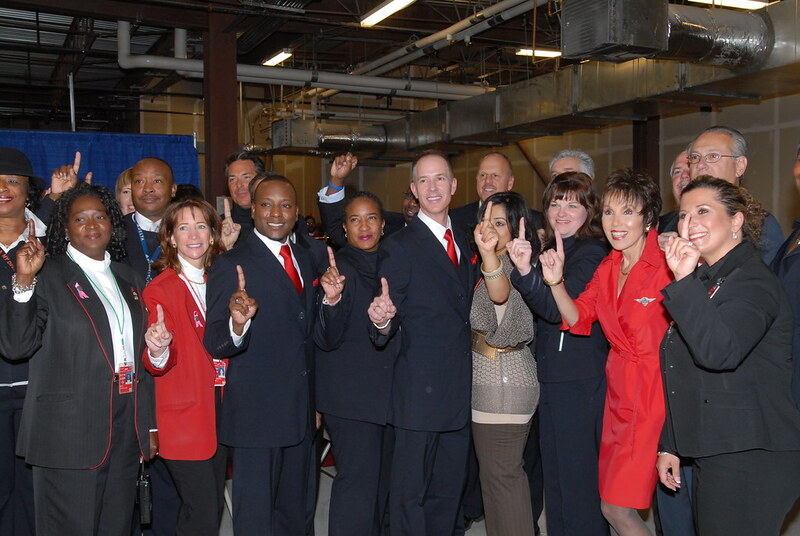 After the merger closed, every station in the new Delta system held celebrations where employees cheered each other wearing “One Great Airline” T-shirts. Ed and then-CEO Richard Anderson sent a personal note of thanks to every employee. At the beginning of October, Delta reported adjusted pre-tax income for the September quarter 2018 of $1.6 billion despite strong headwinds from rising fuel prices. In 2015, Delta earned historic profits that had been unimaginable before 2008. And the airline has now earned investment-grade credit ratings from all three agencies. “The merger allowed us to set the table for something new and incredible – investing in the business, our people and owners in a way that had never been possible,” said CFO Paul Jacobson. Industry experts agree that while there were bumps, the Delta-Northwest merger set a standard that airline mergers have struggled to match. 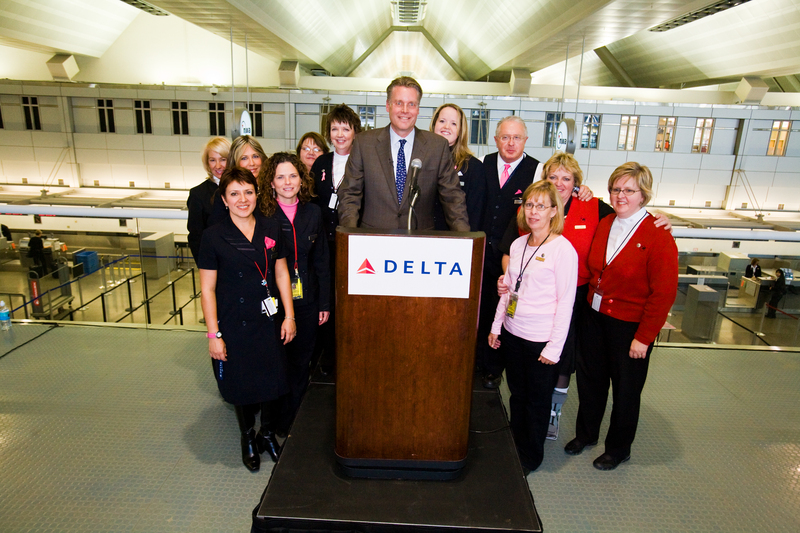 Delta leaders who lived through the transition pointed to the workforces.